This is the third time football's world governing body has looked at Chelsea, and in 2009 they were banned from making signings for two years. When asked by BBC Sport about Chelsea and Manchester City, it confirmed an investigation was "ongoing". City have no knowledge of an investigation and are adamant they have done nothing wrong, while Chelsea insist they "comply with all Fifa statutes and regulations when recruiting players". City's punishment, meanwhile, came after they were found to have approached the family of two young players who were registered with other clubs. Fifa cleared City of Sarsfield's allegation that they were not allowed to sign the player because of his nationality, on the basis Garre had an Italian passport. 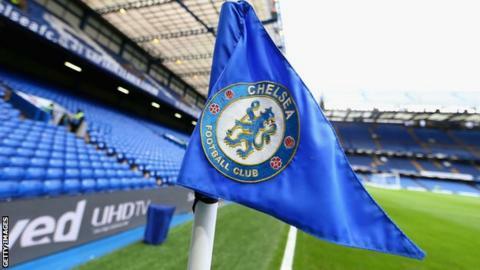 Chelsea and Manchester City are adamant they have done nothing wrong, but in merely admitting investigations are ongoing, Fifa is again shining a light on the recruitment of young players. Chelsea and City have established themselves as having the best young players in England. Chelsea have won the past four FA Youth Cups, beating City in the past three finals. But it would be naive to think outstanding young players arrive at those clubs by chance. Huge amounts of time and resource are put into recruitment, both at home and abroad. As the cases of City and Liverpool proved when they were fined by the Premier League last season, clubs do not always play by the rules. And English clubs are not operating in a vacuum. As the professional desire and financial incentives for winning increase, even if Fifa's latest probe unearths nothing, it is fair to assume it won't be the last time they will feel the need to make sure regulations are not being broken.